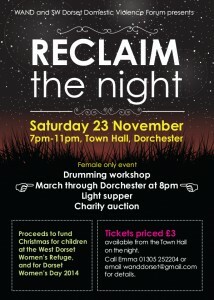 We’re also planning Reclaim the Night 2013 – this year it will be held on Saturday 23 November from 7pm to 11pm at the Town Hall in Dorchester. 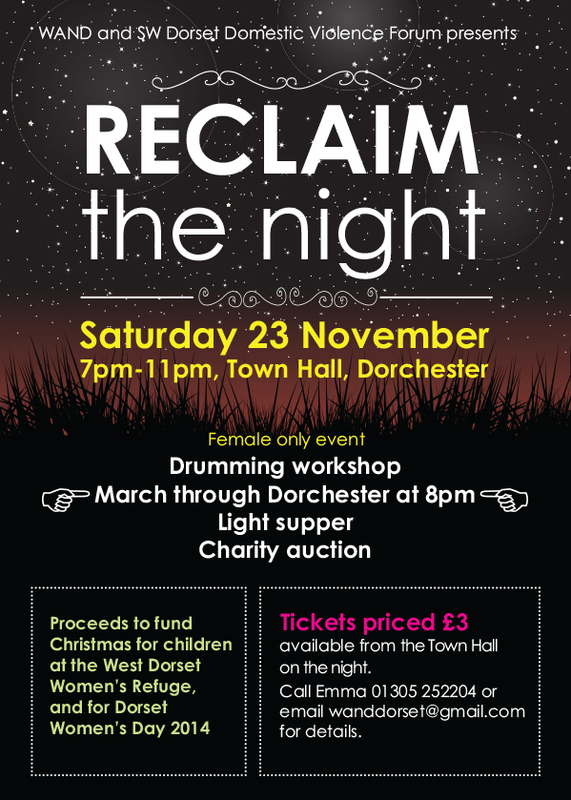 This women only event is only £3 and includes a fabulous drumming workshop; a short march through the town; a light supper and a charity auction to raise money for the Women’s Refuge. This entry was posted in Activity, Event on October 13, 2013 by mariac.